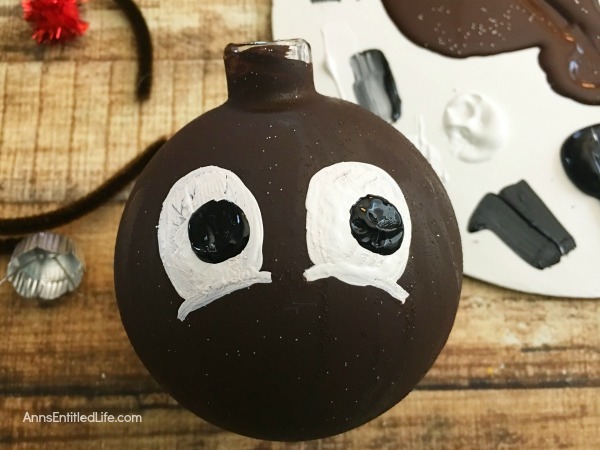 Looking for an adorable Christmas ornament craft that nearly anyone can make!? 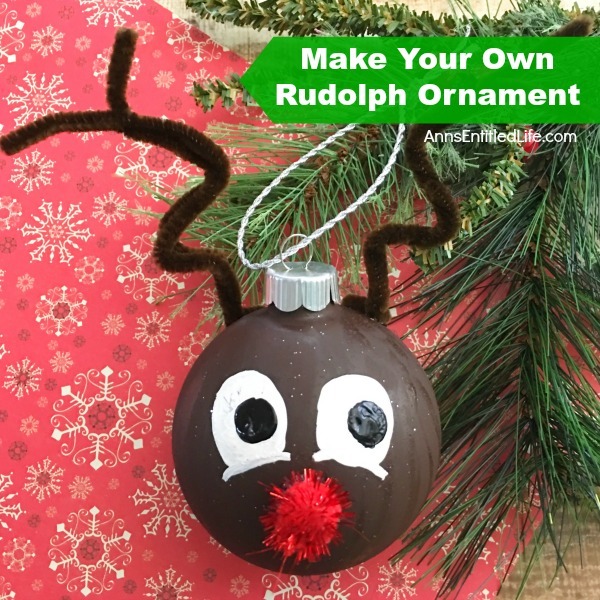 Here are step by step tutorial directions on how to make your own Rudolph ornament. 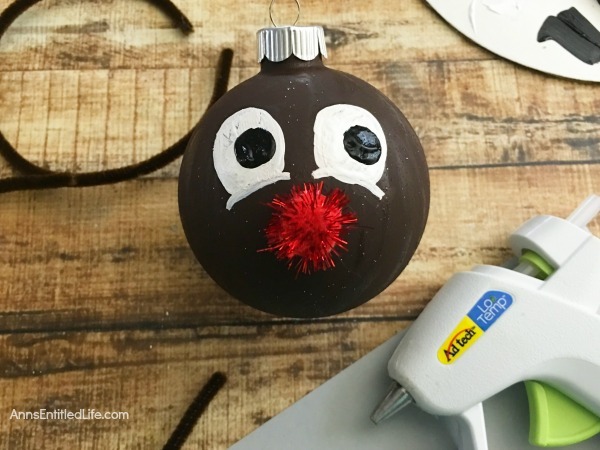 These diy ornaments are so cute! 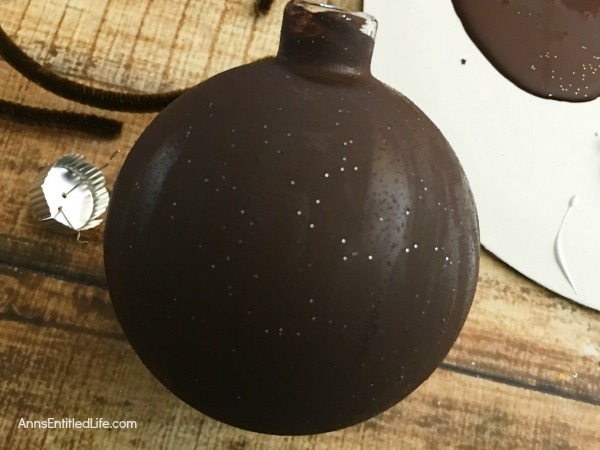 Make them for your tree, to give as a gift or to top a gift! If you use plastic ornaments use the ribbon and a piece of tape to attach to a Christmas gift in place of a bow. These are so sweet! Under adult supervision (glue guns + glitter! 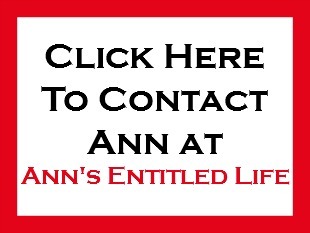 ), a child could easily make these. You may want to paint the globe in two steps and allow it to dry though. Set paint the top half, set on top of a plastic cup, and allow to dry. 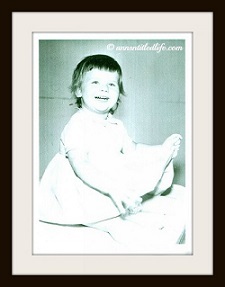 Then turn it over and allow the child to paint the bottom half. The paint dries fairly quickly. If you are looking for more easy Christmas craft ideas, check out my craft and holiday pages. 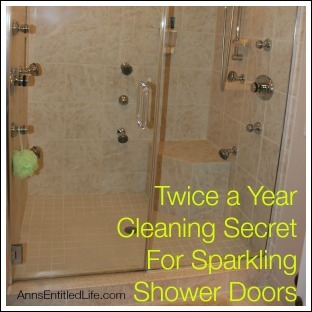 • Cover your flat work surface with newspaper or cardboard. 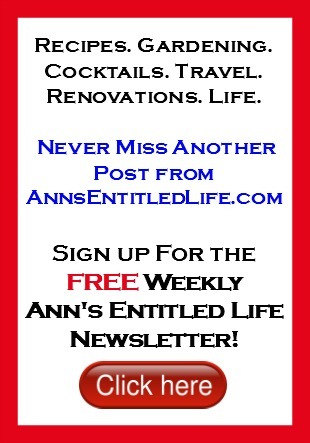 • Remove the ornament cap; set aside. 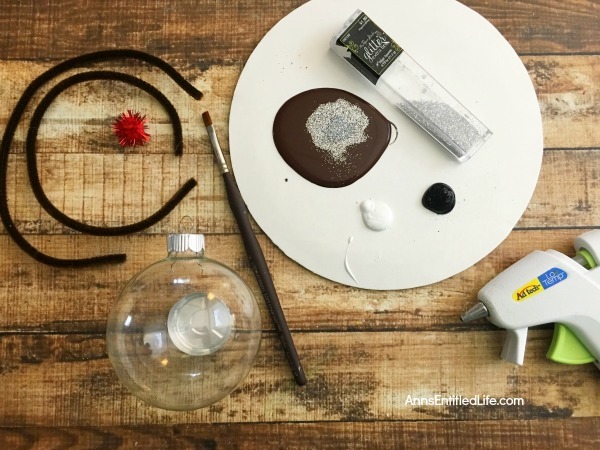 • Mix together 1 tablespoon of brown paint with ½ teaspoon of silver glitter on a small easel (or paper plate). 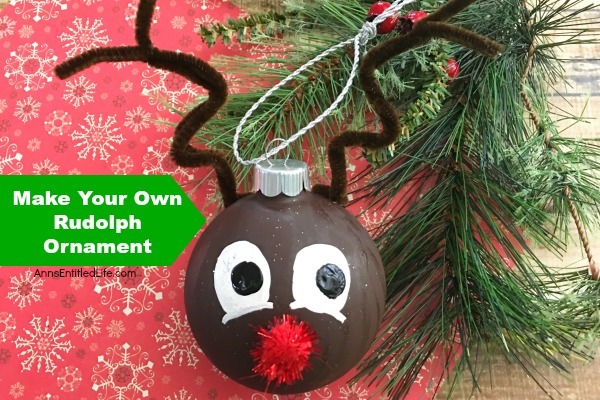 • Once your ornament is dry, place the ornament cap back on your ornament ball. 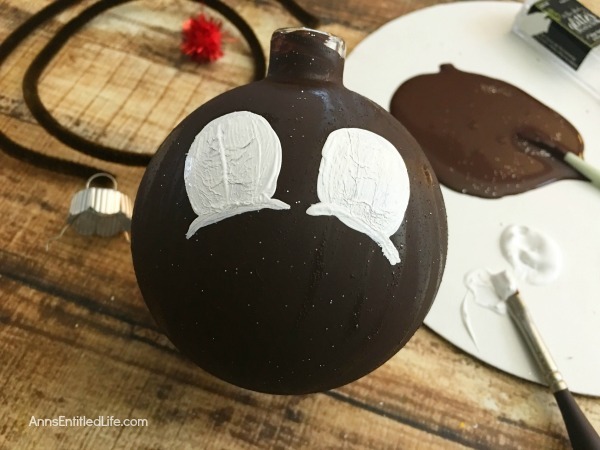 • Paint two white oval shaped eyes on the front of your ornament along with 2 small half circle lines connected underneath. • Paint one large black dot inside each white eye (make them even). 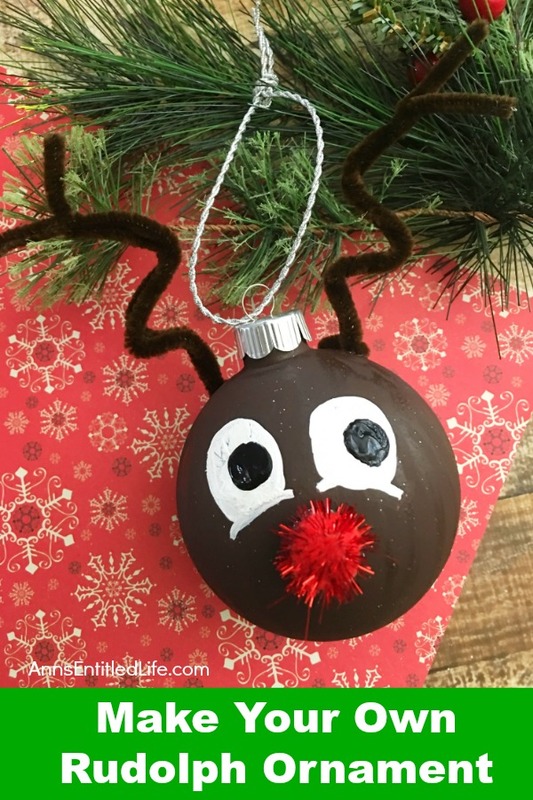 • Hot glue the red sparkly pom pom underneath the eyes for Rudolph’s red nose. 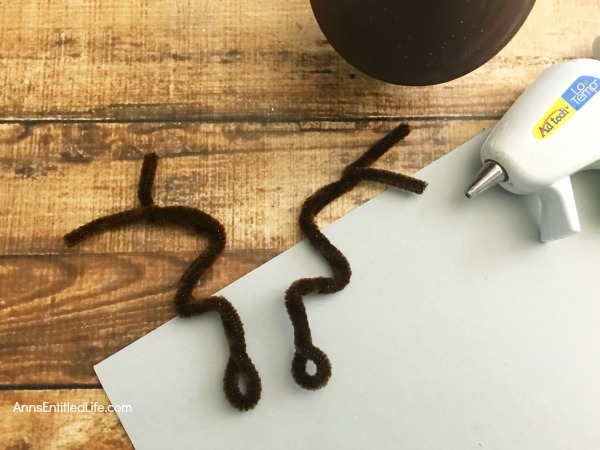 • Cut a 8″ piece of silver ribbon (or any color you please), place one end through the top loop, and tie the ends into a knot to hang. 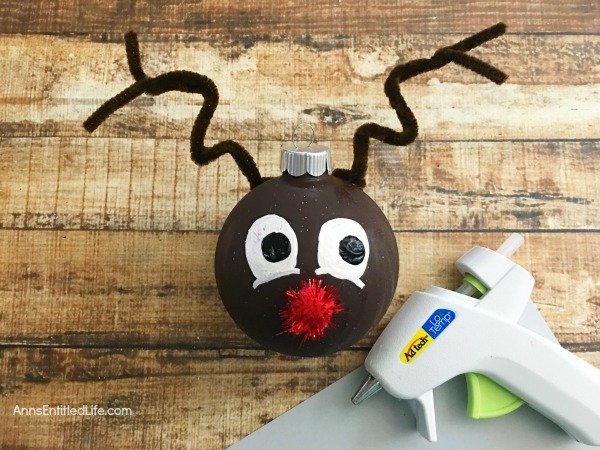 • To print the Rudolph Ornament Instructions, click here.